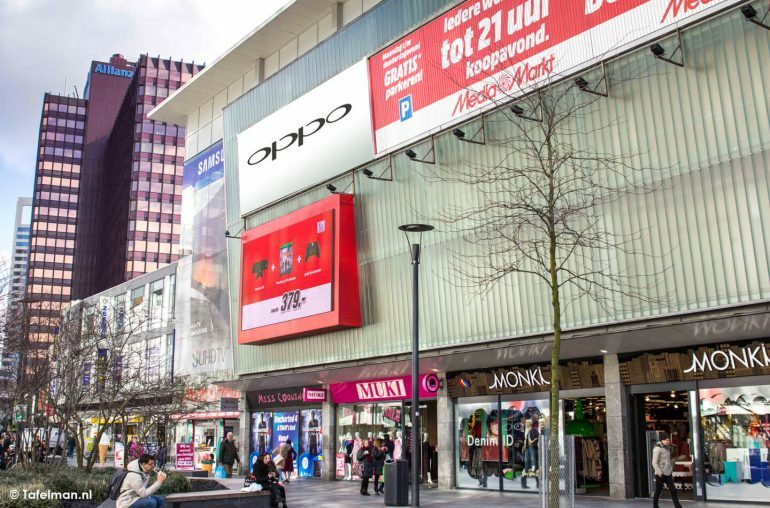 Oppo partners with Europe’s largest electronics retailer MediaMarkt and opens its first shop-in-shop on prime location in The Netherlands. Beginning of last year the Chinese manufacturer Oppo announced to expand its smartphone business to Europe. Various models are now available in the old continent, including the revolutionary Oppo Find X, the RX17 series and the budget AX7. Last year Oppo also expressed its ambition to open shop-in-shops, to serve their customers even better and to get to know the fast-growing Chinese brand. 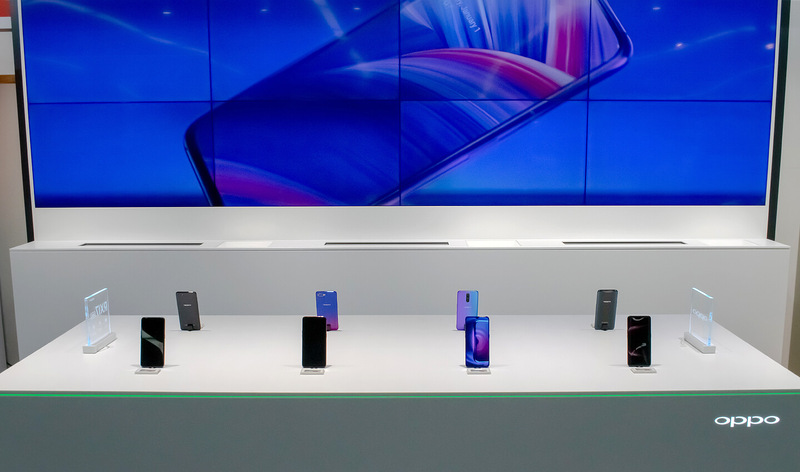 Last week these plans have become a reality as Oppo has opened its first shop-in-shop in the Netherlands in Rotterdam Centrum. The Oppo shop-in-shop offers a large experience zone and can be found in MediaMarkt. MediaMarkt is Europe’s largest retailer for consumer electronics with over 850 stores in 13 countries. It’s part of the Media-Saturn Holding, a major German consumer electronics retailer with stores in Germany, the Netherlands, Belgium, Austria, Switzerland, Sweden, Italy, Spain, Portugal, Poland, Hungary, Greece, Turkey and Russia. The location Rotterdam Center is the Netherlands’ largest Media Markt in terms of floor space. Soon Oppo will also open shop-in-shops on other locations. Omar Al Azami, Communications Manager at Oppo Netherlands says: We are thrilled with the opening of our first 3.0 shop-in-shop store at MediaMarkt in Rotterdam Centrum, The Netherlands. The newest OPPO shopping experience will further enhance the buying process for our customers by offering a simple yet stylish design made from premium materials and there is more space for product presentation. We’re also very happy to welcome dedicated and highly qualified OPPO sales staff to our team who are there to help and provide customers with personal advice depending on their needs. We’d like to encourage your readers to visit our shop-in-shop and have a chat with our sales staff to get to know more about the brand. 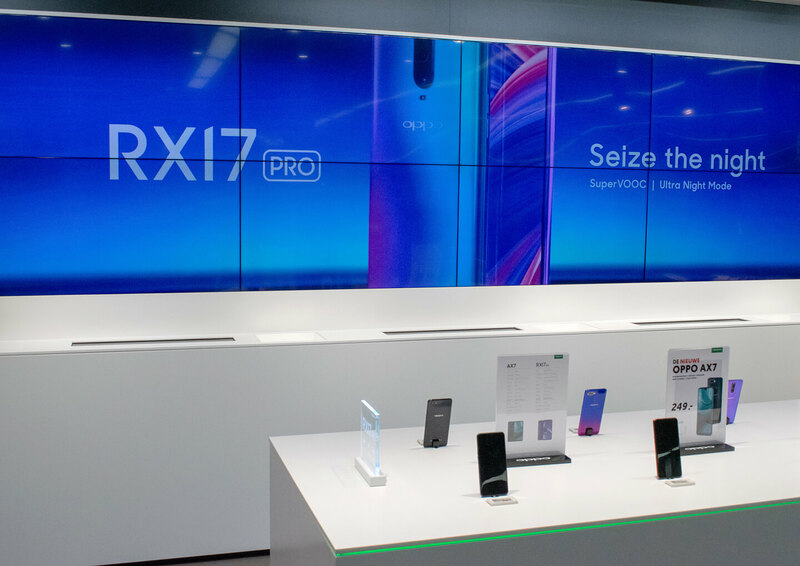 Oppo celebrates the opening of its first shop-in-shops with a price reduction for the RX17 Pro. At the time of the introduction, at the end of last year, the smartphone carried a suggested retail price of €600. 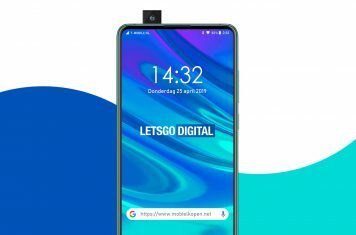 From today consumers in the Netherlands can buy the Oppo RX17 Pro for just €500. 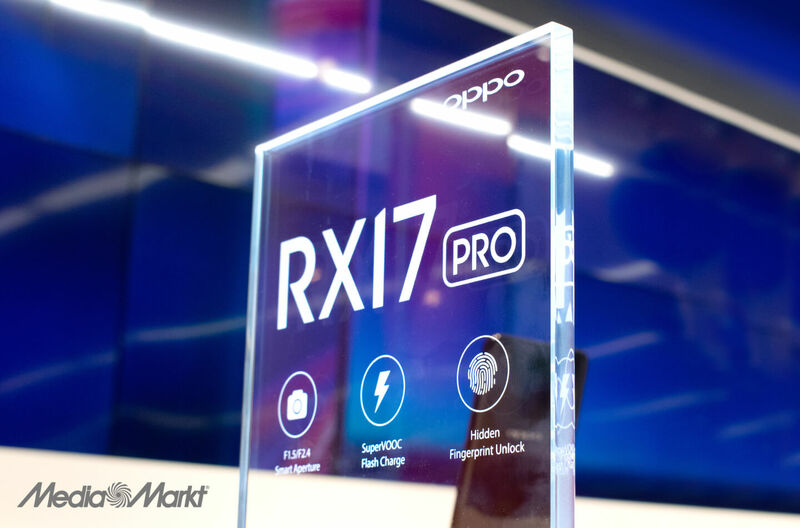 The Oppo RX17 Pro has a 6.4-inch Full HD+ display and is powered by the Snapdragon 710 processor with 6GB RAM and 128GB storage memory. The phone can be unlocked using the in-display fingerprint scanner. Photography enthusiasts will enjoy the 25 megapixel selfie camera as well as the triple camera at the rear, with a variable aperture of f/1.5 – f/2.4. In addition, a powerful 3,700 mAh battery is built in that supports the Oppo SuperVOOC Flash Charge technology. The elegant Android smartphone is available in the colors emerald green and radiant mist. Oppo is already a very prominent player in home country China, India and Thailand. In these countries manufacturers like Samsung and Apple have already lost a lot of market share in recent years. Since last year Oppo is determined to strengthen its market position in Europe. The opening of its first shop-in-shop in the Netherlands underlines this philosophy. Chances are high Oppo will further expand this concept in the near future. For sure, we will hear more about Oppo in the coming years.